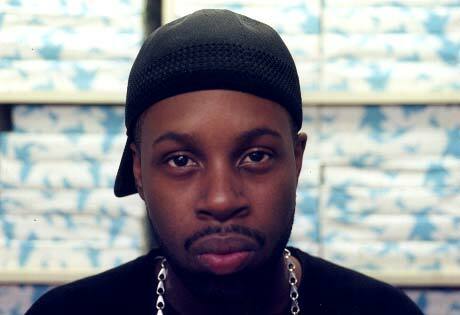 The death of revered producer J Dilla this past February at the age of 32 is still reverberating. As a producers producer, J Dillas influence is incalculable and will continue to be reflected in the sound of hip-hop. The Shining represents his final full-length work (an EP Jay Love Japan is also scheduled to be released) and gathers many of the influential beatmakers close collaborators and friends. Completed after his death by fellow Motor City native and noted producer/jazz musician Karriem Riggins, The Shining finds J Dillas ever-changing and versatile production style in a soulful, reflective mood. While Busta Rhymes grating intro over a kazoo beat and Detroit MC Guilty Simpson provide some grit to the proceedings, it rarely overtakes the communal vibe of this record. The warmth doesnt appear to be accidental as the word "love appears in the title of four of the albums 12 tracks. The most striking of these is Pharoahe Monchs "Love. His sing-song flow rides smoothly atop a break akin to a blaxploitation score. Former roommate Common rides one of Dillas patented electro outings on the futuristic "E=Mc2. Even DAngelo, whose appearances are rare these days shows up to croon on "So Far To Go. Its hard to determine where J Dilla his sound and influence would have gone after this record, because much like his career, The Shining covers a lot of sonic territory, but its completion is an unwitting footnote and affecting celebration of his sound and his influence. How did it feel to know that you had been chosen to finish this record? Riggins: It was a little overwhelming at first because Jay was really sick and the last message I got from him was "Riem we gotta finish this album like yesterday and this was like two and a half months before he passed away. So Im thinking hes getting better and Im preparing myself. I left him a message like "Cmon, lets go like "Whenever youre ready Im here for you. So that was already planned, its kinda deep. It was really natural, it wasnt like I had to come in and change a whole bunch of stuff. The vision was there, he already knew what he wanted. What do you think he was trying to achieve on this record? I think he was trying to let the listener know that music is bigger than machines. Its known that he used an MPC and he was a genius at working that machine, which he knew it inside and out. But there was live instrumentation. He got on the keys, he played the guitar and a lot of different instruments. He was proving his versatility as a musician and not just a producer.